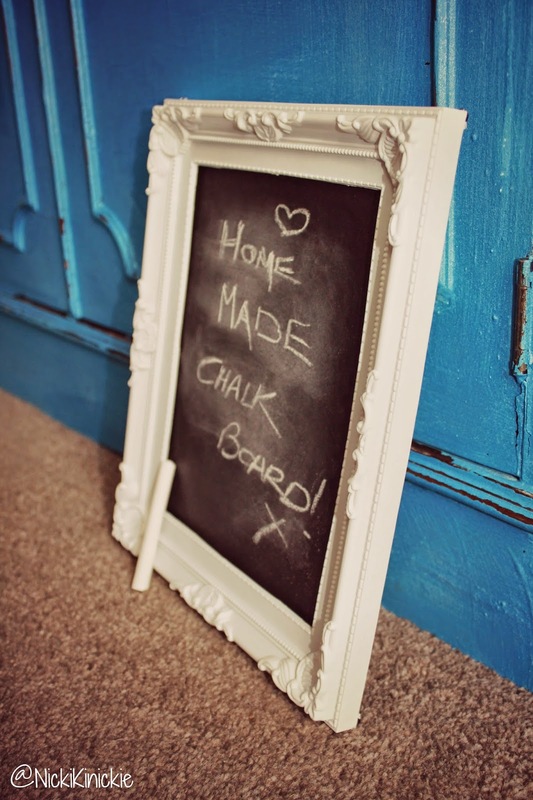 CRAFT | Home Made Framed Chalkboard. 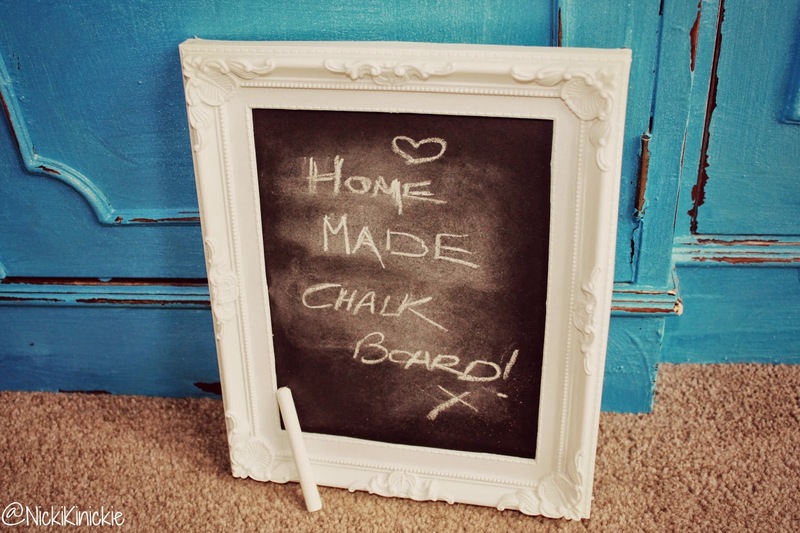 | Nicki Kinickie Nicki Kinickie: CRAFT | Home Made Framed Chalkboard. CRAFT | Home Made Framed Chalkboard. If I thought I was unorganised before then I really had no idea. Baby brain is a real thing, it happens to good people just like you and it has happened to me, I am a nightmare. I forget to reply to texts and emails or I go to reply and get distracted with said baby. So, I thought I would make myself a little place to put really important reminders. I have come to my senses and started using my diary again but there's no harm in making a pretty thing for the kitchen to keep my reminders. 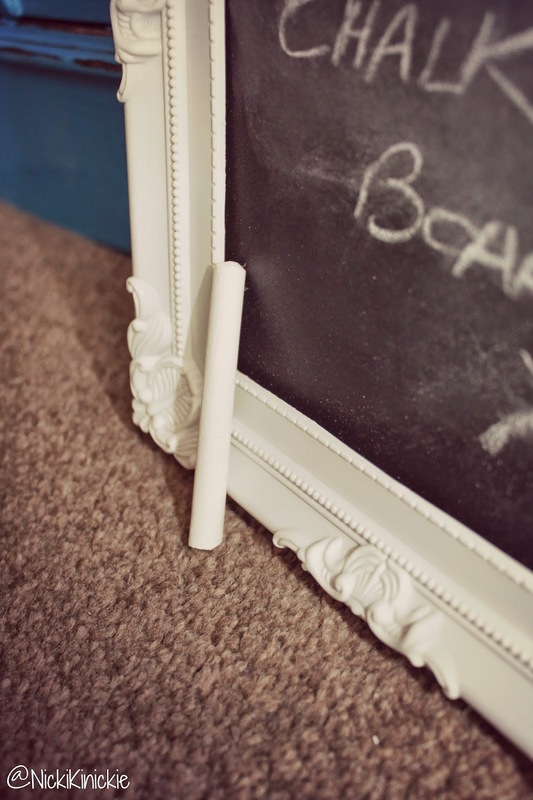 Step forward a home made chalkboard; easy peasy to make and oh so pretty to look at! I literally just painted the backing board that comes with the frame with a few layers of chalkboard paint and left it to dry (and discarded the glass of course!) I didn't write on it straight away either to ensure it was set and as you can see from the pics it works really well! I am so impressed with it. My sister in law also was so I made one for her too. It is simple to make if you fancy having a go or if you want one in this frame (which measures 10x8) I am now making them! They are £10 each including postage.